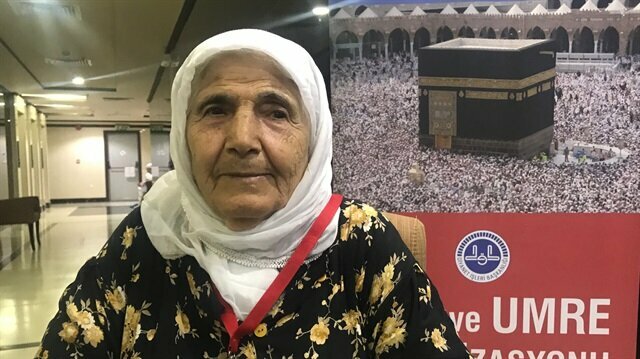 Ayşe Topsoy, 103, Turkey’s oldest Umrah pilgrim, is excited about finally fulfilling her religious obligation -- after decades of waiting -- to visit Saudi Arabia’s holy city of Mecca. Accompanied by her son and daughter-in-law, Sukru and Aysun, Ayse -- who hails from Turkey’s Adiyaman province -- has long dreamed of seeing the Holy Land where the Prophet Muhammad once lived and preached. 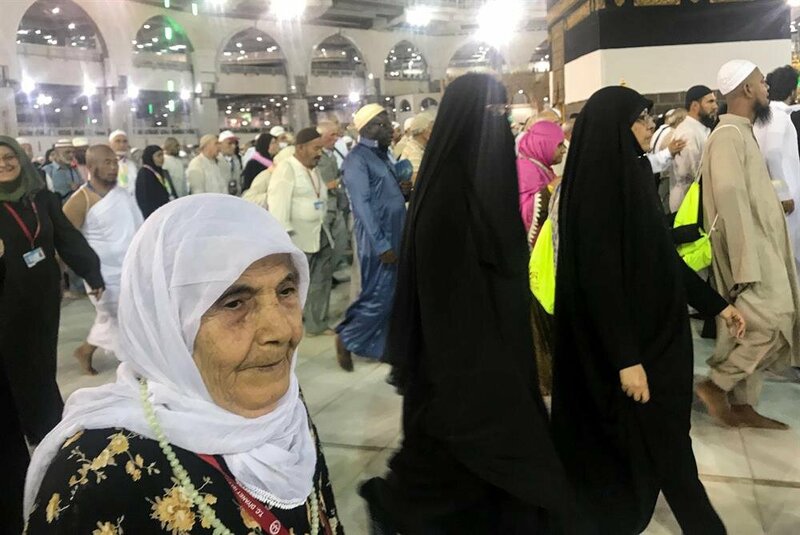 Tightly holding her son's hand, she enters Mecca’s Grand Mosque. Despite difficulties walking due to her advanced age, she has nevertheless dispensed with her wheelchair. Muslim worshippers circle around the Kaaba, Islam's holiest site, located in the center of the Masjid al-Haram (Grand Mosque) in the holy city of Mecca, Saudi Arabia on Friday. Ayse urged young people, too, to make the once-in-a-lifetime pilgrimage. 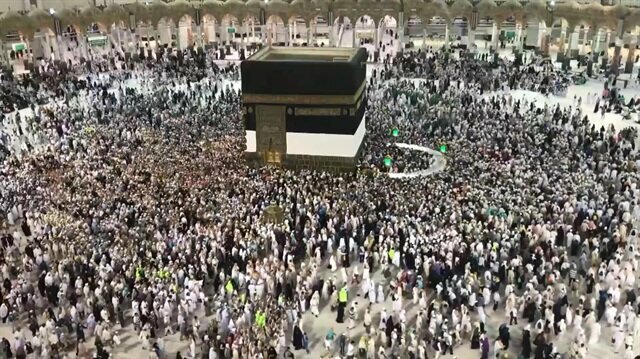 Hajj pilgrims gathered to perform the morning prayer around the Kaaba, Islam's holiest site, located in the center of the Masjid al-Haram on Friday.